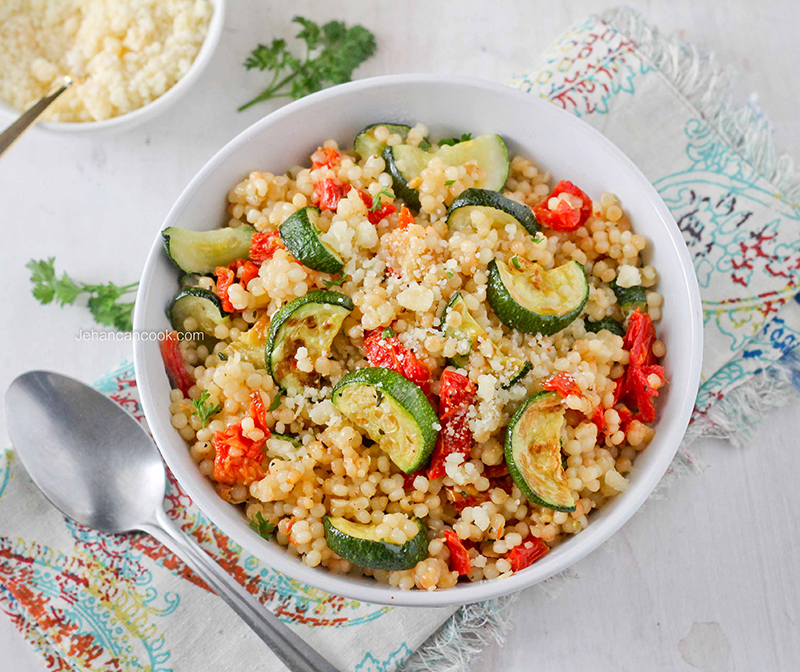 I love making couscous; it’s so easy to flavor and cooks very quickly. 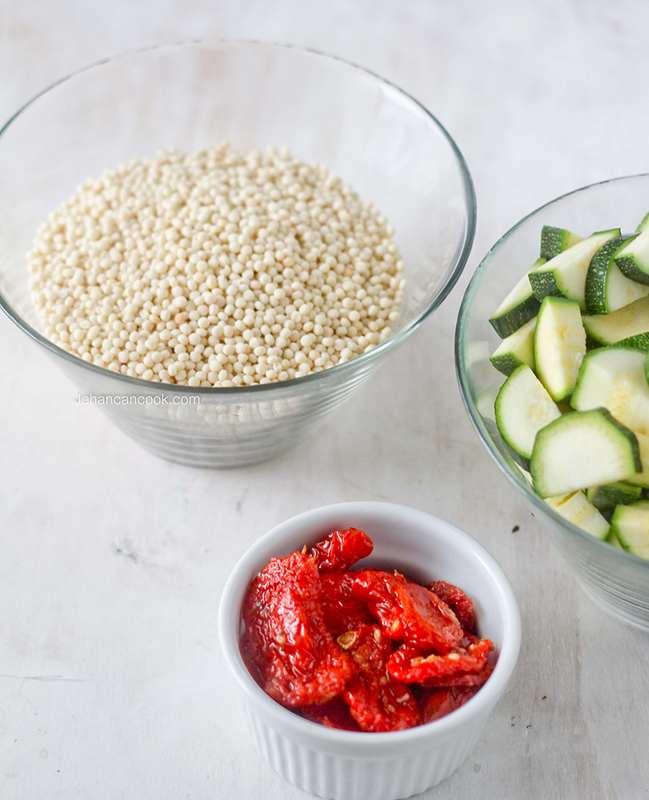 I used Pearl couscous, also Israeli couscous, which is a tiny pearl shaped pasta which is a great rice substitute that takes just 10 minutes to cook! I used roasted zucchini and sundried tomates but you can use any combination of mixed vegetables that you like. Roasted peppers and egg plant would be a great addition. Just a few simple ingredients and along with a sprinkle of nutty parmesan is all this dish need. I served this with lamb but you can easily serve it with roasted chicken or just on its own! Enjoy. Preheat oven to 450 degrees. 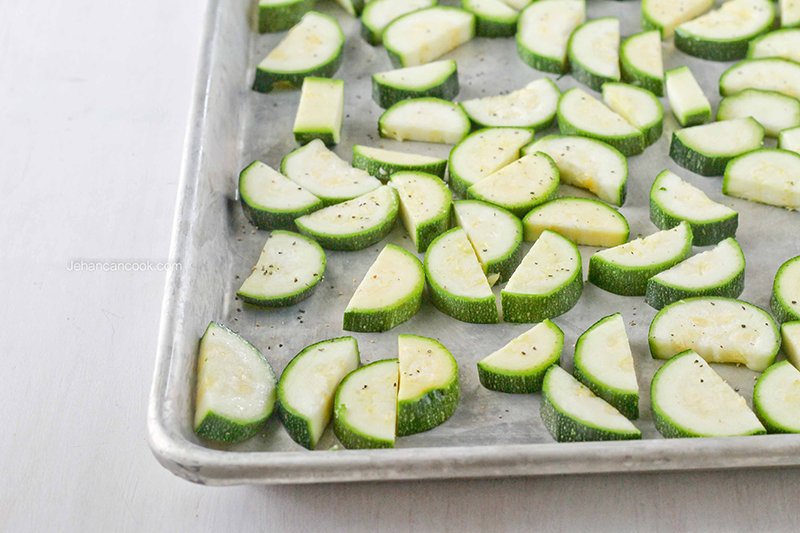 Toss zucchini with 1 tsp oil and place on a large sheet pan in a single layer. Place into preheated oven and cook for 10 minutes then flip and cook for an additional 10 minutes. Remove from oven and set aside. In a large pot add remaining 1 tsp of oil. When oil is hot, add couscous and toast for about 5 minutes, stirring occasionally. Next add garlic, red pepper flakes, sundried tomatoes and stock. Bring to a boil, then turn then cover the pot. Turn the stove down to low and cook for about 10 minutes or until couscous absorbs all the liquid. Add roasted zucchini and grated parmesan and mix will a fork. This will make the couscous fluffy. Add additional salt if necessary, I found that the salt from the stock and parmesan cheese was enough. Place in a large bowl and garnish with additional grated parmesan. Serve warm. 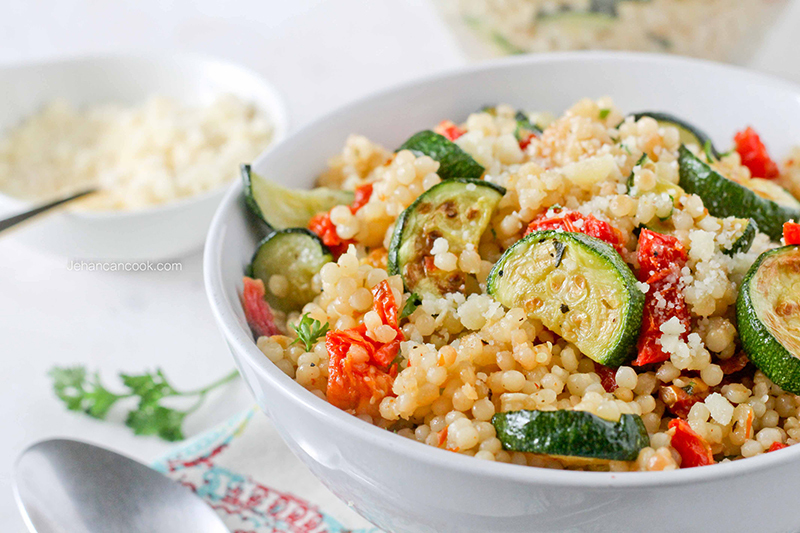 What a beautiful and colorful couscous!!! So pretty! And I love the idea of parmesan to give it a flavour boost. This couscous looks incredible. It’s so vibrant and full of flavor! Very pretty colors, and I just love pearl couscous! Thanks Christina, doesn’t vibrant color make you want to eat it even more? This looks utterly delicious!!!! Must try with the zucchini I have in the fridge right now!!! !